Government Finance Officers Association Scholarships are awarded each year to undergraduate and graduate students who are pursuing careers in local and state government. Four different scholarships are available. The Daniel B. Goldberg Scholarship is for graduate students who have already received their Bachelors degree. This is for students majoring in finance. The Frank L. Greathouse Government Accounting Scholarship is available to junior undergraduates or graduate students majoring in accounting. Students who are of Black or African American, American Indian or Alaska Native, Asian, Native Hawaiian or Other Pacific Islander, Hispanic or Latino descent may apply for the Minorities in Government Finance Scholarship. Eligible studies may include public administration, governmental accounting, finance, political science, economics, or business administration. The Government Finance Professional Development Scholarship is for students who have already earned their Bachelors degree and have been working for two years within public government. Eligible students must be enrolled part-time as a graduate student in public administration, governmental accounting, finance, economics, or business administration. 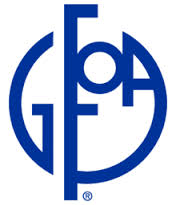 The scholarships are offered by the Government Finance Officers Association, a membership-based professional association that works to maintain sound financial policies and practices within government offices. The organization is located in Chicago. All applications for scholarships must include recommendations from colleagues or professors. The deadline for this scholarship is usually in FEBRUARY each year, and the award amount is usually $5,000 - $10,000.